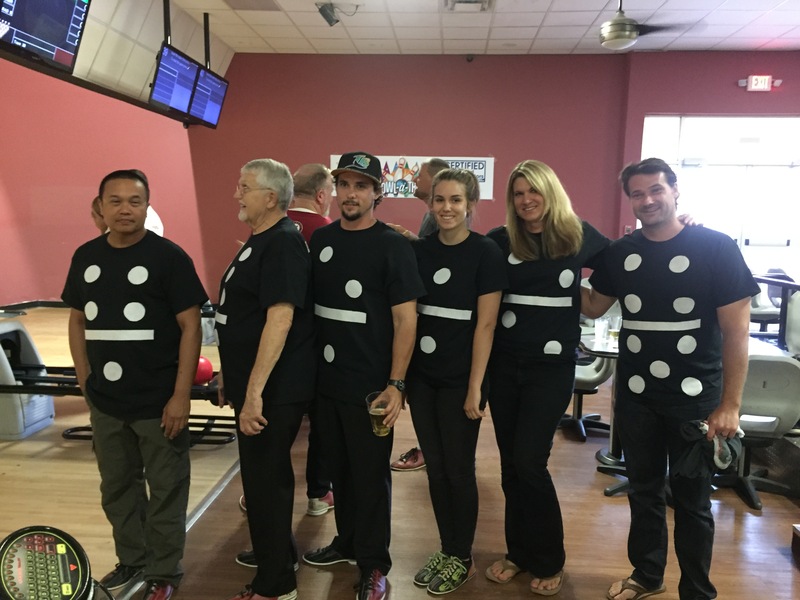 Saturday night proved to be a deadly battle of the best bowlers in Brevard County as businesses fought for the title of “Best Bowler” and “Best Uniforms” at Junior Achievement’s Company Team Fundraising Rumble Bowl-a-Thon. We had so much fun competing as, “The Fall Guys” with matching domino uniforms. However, “The Fall Guys” only ended up returning with a greater sense of companionship rather than trophies after a night of scattered gutter balls and double digit games. Luckily a few members carried the team with frequent spares and strikes including Andy who set a record bowling a 155! Needless to say, practice for next year’s Bowl-a-Thon starts NOW! Due to the efforts of JA and all participating businesses, this year’s Bowl-a-Thon raised almost $40,000! All proceeds will be directly applied to Junior Achievement’s goal: to inspire and prepare Brevard County young people to succeed in a global economy. We are so thankful to continuously be apart of JA’s purpose making the future of younger generations in Brevard brighter than ever. This entry was posted on June 12, 2017 .